Our workforce is the foundation of our business and we ensure that our employees have the right resources, in terms of plant, equipment and PPE to perform their work effectively. We are committed to training our work force to maintain and develop their skills and to introducing new entrants to the industry. We pride ourselves on the quality and diversity of our managerial, technical and support staff and on the capabilities of our specialist and multi-skilled operatives. Staff development and training is vital to the success of the company, and we run regular programmes so that people at all levels – from operatives to senior managers – can learn new skills or develop their capabilities. Our staff have received training in over 50 different topics from CSCS and CPCS to emergency rescue procedures to Asbestos awareness. 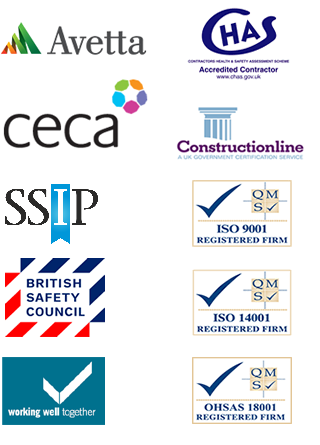 CSCS Scheme – As a company we have been involved with the CSCS since 1999, and have put over 200 employees through N.V.Q., or other appropriate courses to obtain CSCS and CPCS cards. We use our own direct workforce, which means consistently skilled and reliable staff at every level. Our training programmes ensure that we meet and exceed safety standards as well as keeping our employees up to speed with operating processes, quality standards and new equipment. Our investment in training and continuous profession development is reflected in our excellent staff retention rate. The average service of our Senior Management is 12 years and our site based operatives is 15 years.